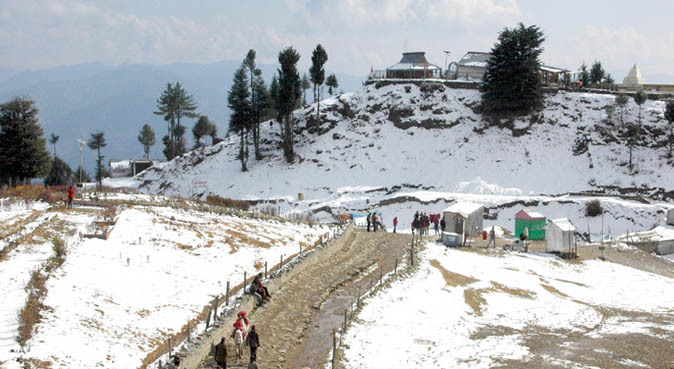 Kufri is a small hill station in Shimla district of Himachal Pradesh state in India. 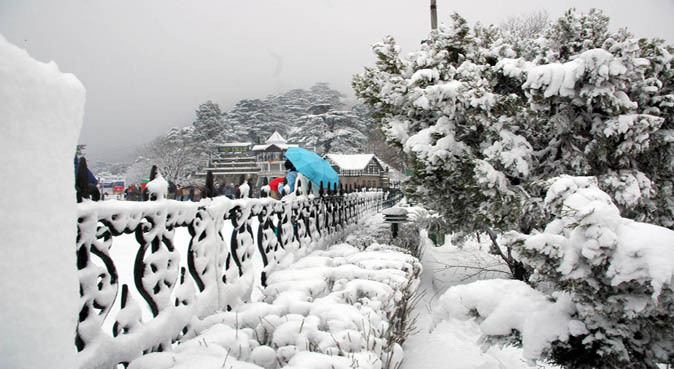 It is located 13 km from the state capital Shimla on the National Highway No.22.The name Kufri is derived from the word "Kufr" meaning a lake in the local language.The highest point in the surrounding region Kufri has a Himalayan Wild Life Zoo which hosts rare Antelopes, Felines and Birds including Himalayan Monal, the state bird of Himachal Pradesh. During winter a meandering path through the potato plantations turns into a popular Ski track. Indira Tourist Park in Kufri is located near the Himalayan National Park and is a place where people go to relax. Facilities like yak and pony rides are available for both elders and young ones. 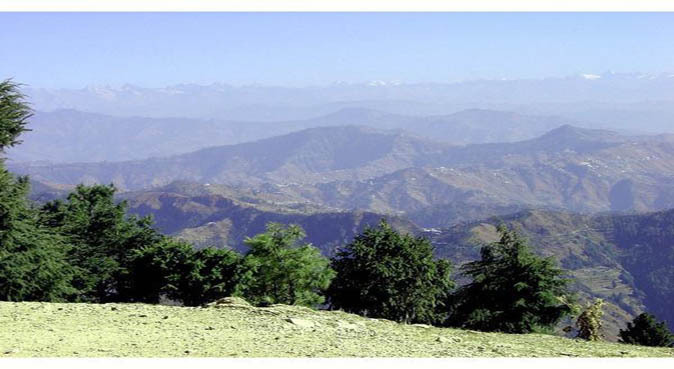 There is also the Cafe Lalit here, managed by HPTDC.This tourist park is easily accessible from neighbouring regions like Shimla, which is 19 km away and the park is 6 km from the region of Fagu. The Fagu region is situated in between two valleys surrounded by forest covers and apple orchards. 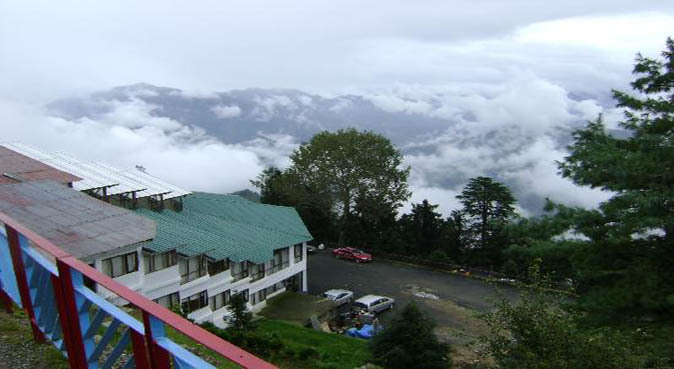 Fagu is located about 6 km from Kufri at an altitude of 2,509 metres. It has a tourist bungalow on top that overlooks the Giri Valley. It is located at a distance of 6 km from Kufri.Fagu is covered with forests and orchards and winter sports festivals are organised here because of its ski routes. The winter ski fests are celebrated here in the winter month of February. During summers the village of Fagu is popular as a picnic spot. Mahasu Peak is the highest point in the region of Kufri from where ranges like Badrinath and Kedarnath are clearly visible. 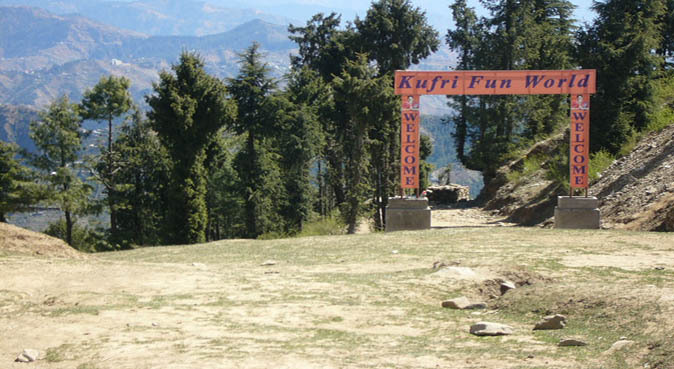 Being the highest peak in Kufri, adventure sports like hiking and trekking are practised here. It takes a short hike from Kufri through the woods of Himalayan cedars to reach Mahasu Peak. The Himalaya Nature Park covers a land area of 90 hectares and consists of different animals like musk deer, barking deer, black bear, leopard cat and cheer pheasant. Camping can be done in the park with limited camping facilities being available.